Shock Absorber | Sauer Achsen Ball Joint | Kassbohrer 90° Push in Connector | Universal Hose, Oil Filler | Volvo Wheel Hub | Ror-Meritor Main Cylinder | Man Shut-Off Valve | Daf Bearing, Wheel Hub | Bergische Achsen Cab Tilt Lock | Man Torque Rod | Daf Ring, ABS | Daf Shock Absorber | Mercedes Gasket Kit, Compressor | Volvo Repair Kit, Clutch Servo | Iveco Exhaust Manifold | Volvo Bushing, Stabilizer Bar | Volvo Belt Tensioner, Fan | Mercedes Repair Kit, Brake Caliper | Ror-Meritor Stud | Volvo Wheel Hub | R.V.I. Signal Control Arm | Man Wheel Hub | Mercedes Silencer, Exhaust | Daf Repair Kit, Stabilizer Bar | R.V.I. Gasket, Water Pump | Scania Repair Kit, Brake Caliper | Iveco Air Dryer Cartridge | Kassbohrer Stud | Mercedes Silencer, Exhaust | R.V.I. T Union with Screwed Socket Plug-in | Universal Protective Cap, Head Lamp | Volvo Levelling Valve | Scania Brake Disc | Ror-Meritor Stud | R.V.I. Hose, Oil Cooler | Daf T Union | Universal Bearing, Stabilizer Bar | Mercedes Hose, Radiator | Mercedes Filter Set, SCR System | Scania Multiway Valve | Bergische Achsen Blade, Fan | Mercedes Lever, Brake Caliper | Brake Caliper Parts Cover, Cylinder Block | Volvo Speed Sensor | Daf Cylinder, Accelerator Pedal | Man Service Brake Chamber | Volvo Hose, Radiator | R.V.I. Gear, Compressor | Man Air Dryer | Mercedes Air Spring | Mercedes Repair Kit, Axle Rod | Iveco Mounting, Engine | R.V.I. Rubber Bushing, Spring | Daf Brake Disc | Mercedes Repair Kit, Cab Tilt | R.V.I. Air Spring | Reyco Repair Kit, Water Pump | Mercedes Air Spring | Sae-Gigant Bearing, Wheel Hub | R.V.I. Valve, Gear Box Housing | Daf Drag Link | Man Bushing, Gear Shifting | Scania Brake Slack Adjuster | Man Ring Kit, Piston | Iveco Fuel Filter | Man Hose, Radiator | Iveco Repair Kit, Brake Caliper | R.V.I. Shock Absorber, Cab | Scania Repair Kit, Axle Rod | R.V.I. Repair Kit, Brake Caliper | Brake Caliper Parts Rubber Bushing, Spring | Hendrickson Repair Kit, Brake Caliper | Brake Caliper Parts Bolt, Spring | Volvo Repair Kit, Brake Caliper | Brake Caliper Parts Rubber Bushing, Spring | R.V.I. Levelling Valve | Daf Repair Kit, Fifth Wheel | Georg Fischer Repair Kit, Clutch Servo | Iveco Lift, Door Window | Daf King Pin Kit, Axle Steering Knuckle | Mercedes Hose, Radiator | Mercedes End-Outline Marking Lamp | Iveco Buffer, Spring | Man Rubber Bushing, Spring | R.V.I. Flywheel | Mercedes Gasket Kit, Compressor | Scania Repair Kit, Brake Cam Shaft | Bergische Achsen Ball Joint | Mercedes Head Lamp | Daf Joint Cross | R.V.I. Shaft, Clutch Fork | Man Wheel Hub | Mercedes Air Dryer | Daf Gasket Kit, Fuel Filter | Man Wheel Hub | Bergische Achsen Hose, Compressor | Mercedes Seal Ring, Wheel Hub | Mercedes Bearing, Wheel Hub | Mercedes Sensor, Accelerator Pedal | Volvo Bushing, Stabilizer Bar | Ror-Meritor Hose, Oil Cooler | Scania Shock Absorber, Cab | R.V.I. V Arm | Volvo Fuel Filter | R.V.I. Ball Joint | Mercedes Rubber Bushing, Spring | Mercedes Bearing, Counter Shaft | Volvo Diaphragm, Brake Chamber | Bergische Achsen Bushing, Clutch Fork | Scania Repair Kit, Water Pump | Daf Bushing, Stabilizer Bar | GMC Gasket, Timing Case | Mercedes Piston, Air Spring | Volvo Bushing, Brake Cam Shaft | Fruehauf Bearing, Wheel Hub | Daf Bearing, Stabilizer Bar | Daf Bearing Cap, Stabilizer Bar | Mercedes Seal Ring, Wheel Hub | Man Gasket, Rocker Cover | Volvo Thrust Ring, Wheel Hub | Mercedes Torque Rod | Scania Rubber Bushing, Spring | R.V.I. Buffer, Spring | Mercedes Repair Kit, Brake Adjuster | Volvo Bracket, Radiator | Scania Levelling Valve | Setra Repair Kit, Brake Cam Shaft | Sauer Achsen U Bolt, Spring | Mercedes Valve, Injection Pump | Man Drag Link | Scania Air Spring | Watson&Chalin Oil Filter | Man Plate, Spring | Bergische Achsen Air Spring | Volvo Spring, Brake Shoe | Bergische Achsen Seal Ring, Power Take Off | Iveco Gasket, Cylinder Block | Scania Piston | Volvo Lamp, Sun Visor | Volvo Rubber Bushing, Cab | Man Bracket, Mudguard | Scania Cover, Battery | Volvo Mirror Glass | Man Wheel Hub | Ror-Meritor Cap, Stud | R.V.I. Repair Kit, Cab Tilt | Scania Wheel Hub | Daf Pressure Control Valve | Man Socket, Trailer Electrical Equipments | Mercedes Stop Light | Mercedes Seal Ring, Wheel Hub | R.V.I. Brake Slack Adjuster | Kassbohrer Exhaust Manifold | Scania Rubber Bushing, Spring | Ford Air Spring | Watson&Chalin Belt Tensioner, Fan | Man Main Cylinder | Volvo Master Switch, Battery | Universal Air Spring | Ror-Meritor Thrust Ring, Wheel Hub | Bergische Achsen Kit, Brake Disc Pad | Daf Cable, Gear Shift Control | R.V.I. Water Pump | Daf Bracket, Head Lamp | Scania Repair Kit, Brake Shoe | Ror-Meritor Repair Kit, Brake Caliper | Ror-Meritor Diaphragm, Brake Chamber | Mercedes Ring, Fan | Man Bolt, Spring | Man King Pin Kit, Axle Steering Knuckle | Volvo Buffer, Spring | Iveco Flywheel | Man Oil Filter | Daf Air Spring | Mercedes Fuel Filter | Volvo Rubber Bushing, Spring | Mercedes Bearing, Stabilizer Bar | Man Nylon Pipe, Black | R.V.I. Retainer, Brake Cam Shaft | Sauer Achsen Compressor | Scania Shock Absorber | Mercedes Brake Slack Adjuster | Volvo Rubber Bushing, Spring | R.V.I. Repair Kit, Brake Caliper | Brake Caliper Parts Spring Brake Chamber | Mercedes Joint Cross | Man Seal Ring, Water Pump | Volvo Crank Shaft, Cylinder Block | Man Straight Coupling | Universal Rubber Bushing, Cab | Iveco Filter Set, SCR System | Mercedes Rubber Bushing, Stabilizer Bar | Mercedes Compression Spring, Cab | Man Hose, Steering Pump | Mercedes Seal Ring, Injector | Volvo Mounting, Exhaust | Mercedes Rubber Bushing, Spring | Ford Bearing, Stabilizer Bar | Mercedes Torque Rod | Iveco Dust Cover, Wheel Hub | Bergische Achsen Cylinder, Cab Tilt | R.V.I. T Union with Screwed Socket Plug-in | Universal Rubber Bushing, Axle Rod | International Navistar Rubber Bushing, Spring | Kassbohrer Clamp | Universal Air Filter Cartridge | Mercedes Service Brake Chamber | Daf Quick Release Valve | Universal Piston, Air Spring | Ror-Meritor Steering Lock | Mercedes Repair Kit, Brake Caliper | R.V.I. Bearing Cap, Stabilizer Bar | Mercedes Straight Coupling | Bergische Achsen Torque Rod | Scania Retainer, Brake Cam Shaft | Kassbohrer Air Spring | Neway Motor, Door Window | R.V.I. Repair Kit, Brake Caliper | Sauer Achsen Air Spring | Neway Cable, Parking Brake | Mercedes Bushing, Spring | Daf Bearing, Stabilizer Bar | Mercedes Air Spring | Fruehauf Housing, Step | Mercedes Silencer, Air Tank | Krone Driving Device, Timing Case | R.V.I. Connecting Rod, Piston | Scania Housing, Step | Iveco Repair Kit, Spring | Volvo Brake Dust Cover | Volvo Relay Valve | Volvo Rubber Bushing, Spring | R.V.I. Repair Kit, Compressor | R.V.I. Repair Kit, Fifth Wheel | Fontaine Ball Joint | Ror-Meritor Feed Pump | Iveco Hose, Radiator | Man Rubber Bushing, Cab | Daf Pin, Brake Shoe | Kassbohrer Ball Joint | International Navistar Hose, Cab Tilt | Mercedes Rubber Bushing, Axle Rod | Hendrickson Cushion, Spring | Ror-Meritor Repair Kit, Brake Caliper | Brake Caliper Parts Seal Ring, Coupling | Man Nylon Pipe, Black | Universal Lining Kit, Brake Drum | Bergische Achsen Rubber Bushing, Spring | Iveco Bumper | Mercedes Fuel Filter | Man Plug, Oil Sump | Mercedes Pressure Control Valve | Daf Clutch Servo | Daf Adjusting Ring, Drive Shaft | Mercedes Handle, Door | Daf Ball Joint | Daf Air Spring | Ridewell Air Dryer | Mercedes Bracket, Step | R.V.I. Repair Kit, Brake Caliper | Brake Caliper Parts Signal Lamp | Scania Air Spring | Watson&Chalin Repair Kit, Brake Adjuster | Ror-Meritor Drag Link | Scania Brake Slack Adjuster | Man Hose, Oil Cooler | Mercedes Hose, Cab Tilt | Volvo Repair Kit, Compressor | Man Repair Kit, Air Spring | Bergische Achsen King Pin Kit, Axle Steering Knuckle | Kenworth Gasket Kit, Cylinder Head | Scania Steering Pump | Mercedes Bracket, Spring | Mercedes Flywheel | R.V.I. Drag Link | Mercedes Air Filter Cartridge | Man Mounting, Cab | Kenworth Brake Shoe, Brake Drum | Bergische Achsen Repair Kit, Brake Caliper | Brake Caliper Parts Air Spring | Neway Repair Kit, Axle Rod | Mercedes Repair Kit, Brake Caliper | Brake Caliper Parts Air Spring | Ror-Meritor Sensor, ABS | Daf V Arm | Volvo Cab Tilt Lock | Volvo Brake Dust Cover | Scania Handle, Door | Iveco Handle, Door | Volvo Filter, Cab Heating & Ventilation | Volvo Hose, Cab Tilt | R.V.I. Rubber Bushing, Spring | York Pin, Spring | Man Repair Kit, Feed Pump | R.V.I. Cylinder, Cab Tilt | Scania Repair Kit, Brake Caliper | Mercedes Repair Kit, Water Pump | Man Fuel Filter | Volvo Shock Absorber, with Air Bellow, Cab | R.V.I. Repair Kit, Brake Caliper | Brake Caliper Parts Buffer, Spring | Mercedes Oil Pump | Daf Repair Kit, Clutch Servo | Daf Cover, Axle Steering Knuckle | Volvo Plate, Step | Iveco Air Spring | Sae-Gigant Rubber Bushing, Cab | Volvo Flasher Relay, Central Electric Unit | R.V.I. Bearing, Stabilizer Bar | Sauer Achsen Torque Rod | Man Pressure Sensor | Volvo Service Brake Chamber | Man Spring Brake Chamber | Scania Bushing, Brake Cam Shaft | Fruehauf Main Cylinder | Mercedes Oil Filter | Man Nylon Pipe, Black | Iveco Hinge, Front Panel | Mercedes Pipe, Exhaust | Daf Housing, Step | Mercedes Mounting, Engine | Kenworth Torque Rod | Daf Hose, Radiator | Iveco Bracket, Spring | R.V.I. Fitting, Air Spring | Scania Bearing, Wheel Hub | R.V.I. Air Spring | Sauer Achsen Air Filter Cartridge | Man Clamp | Universal Solenoid Valve | Volvo Repair Kit, Brake Cam Shaft | Bergische Achsen Brake Slack Adjuster | R.V.I. 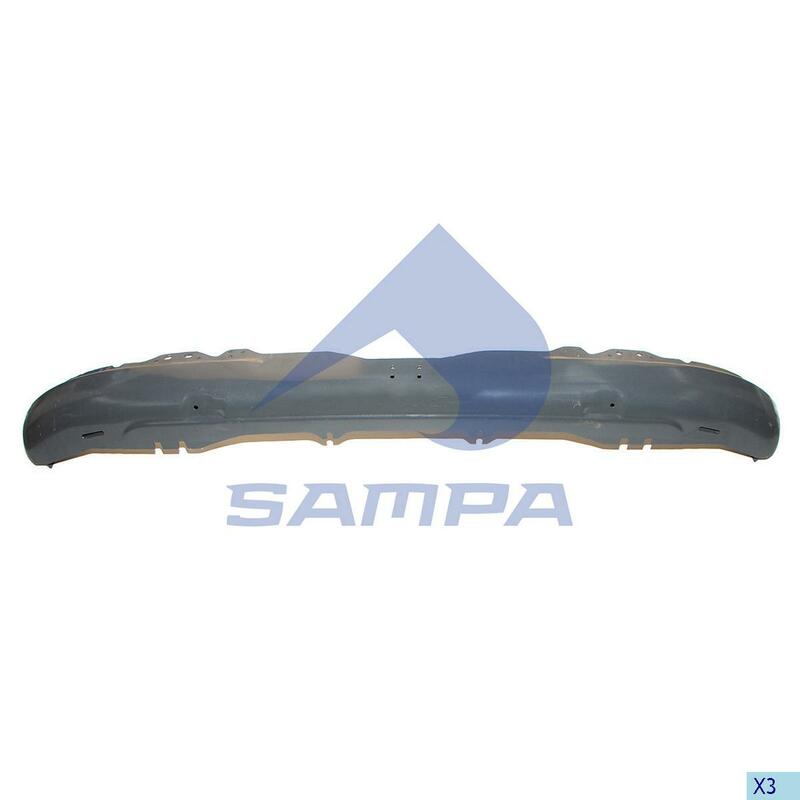 Cover, Axle Steering Knuckle | R.V.I. Gasket Kit, Compressor | Man Tension Roller, Fan | Mercedes Seal Ring, Wheel Hub | Daf Clamp | Universal Spring Clamp, Brake Adjuster | Volvo Seal Ring, Input Shaft | Mercedes Cushion, Spring | Mercedes Foot Brake Valve | Daf Shock Absorber | Bergische Achsen Repair Kit, Brake Caliper | Scania Stud | Mercedes Lock Washer, Axle | Volvo Repair Kit, Brake Caliper | R.V.I. Tank Cap, SCR System | Iveco Plate, Spring | Daf Wheel Hub | Mercedes Repair Kit, Trailer Coupling | Ringfeder Master Switch, Battery | Universal Bearing, Stabilizer Bar | Mercedes Exhaust Brake | Man Cover, Bumper | Mercedes Load Sensing Valve | Daf Drag Link | R.V.I. Bearing, Wheel Hub | Iveco Filler Cap, Oil Container | Man Bracket, Spring | Scania Hose, Radiator | Man Belt Tensioner, Fan | Daf Axle Nut | Mercedes Seal Ring, Gear Selector Housing | Man Sun Visor | Iveco Shock Absorber | Sauer Achsen Pulley, Water Pump | R.V.I. Flexible Pipe, Exhaust | Universal Rubber Bushing, Spring | Mercedes Rubber Bushing, Steering | Mercedes Air Coil, Coupling | Universal Drag Link | Man Clamp, Exhaust | Volvo Mounting, Engine | R.V.I. Oil Cooler | Volvo Axle Nut | Scania Bracket, ABS | Bergische Achsen Temperature Sensor | Man Mounting, Radiator | Western Star Levelling Valve | Man Brake Slack Adjuster | Mercedes King Pin Kit, Axle Steering Knuckle | R.V.I. Washer, Injection Pump | Daf Repair Kit, Cylinder Head | Scania Seal Ring, Wheel Hub | Bergische Achsen Cable, Gear Shift Control | Man Diaphragm, Brake Chamber | Scania Air Spring | Ror-Meritor Shock Absorber, Cab | Volvo Seal Ring, Differential Gear Housing | Mercedes Ball Joint | Sauer Achsen Shock Absorber | Mercedes Drag Link | Man Silencer, Exhaust | R.V.I. Piston, Air Spring | Daf Nylon Pipe, Black | Man Cover, Cylinder Block | Mercedes Fuel Tank | Man Hose, Radiator | Volvo Handle, Door | R.V.I. Air Spring | R.V.I. Exhaust Manifold | Man Seal Ring, Wheel Hub | Bergische Achsen Signal Control Arm | Scania Dust Cover, Brake Adjuster | Volvo Water Pump | Daf Bearing, Wheel Hub | Trailor Propeller Shaft Bearing | Man Seal Ring, Input Shaft | Neoplan Piston | Scania Brake Shoe, Brake Drum | R.V.I. Repair Kit, Axle Rod | Man Expansion Tank, Radiator | Man Repair Kit, Spring | Bergische Achsen Nylon Pipe Assembly Kit | Universal Hub Cap | Bergische Achsen Seal Ring, Input Shaft | Iveco Pin, Brake Shoe | Trailor Gasket, Turbocharger | Volvo Hose, Radiator | Mercedes Cutting Ring | Universal Rubber Bushing, Balance Arm Axle | Mercedes Sensor, Brake Disc Pad | Ror-Meritor Flywheel | Iveco Sensor, Gear Box Housing | Volvo Mirror | R.V.I. Drag Link | Mercedes Clutch Servo | Mercedes Repair Kit, Brake Caliper | Mercedes Bearing, Wheel Hub | Schmitz Roller, Clutch Fork | Volvo Buffer, Spring | Mercedes Repair Kit, Wheel Hub | Mercedes Mounting, Engine | Mercedes Lock Plate, Brake Shoe | Bergische Achsen Rubber Bushing, Stabilizer Bar | Man Air Filter Cartridge | Volvo Drag Link | R.V.I. Hub Cap | Sauer Achsen Cover, Air Filter | Man Air Spring | Ror-Meritor Repair Kit, Brake Cam Shaft | Fruehauf Air Bellow, Cab | Scania Ball Joint | Volvo Repair Kit, Brake Caliper | Volvo Fan Motor, Cab Heating & Ventilation | R.V.I. Clamp, Exhaust | Mercedes Seal Ring, Gear Selector Housing | Setra Brake Slack Adjuster | Mercedes Bearing, Wheel Hub | Iveco Temperature Sensor | Mercedes Housing, Step | Iveco Repair Kit, Brake Caliper | R.V.I. Spring Brake Chamber | Man Rubber Bushing, Cab | Volvo Spring, Brake Shoe | Fruehauf Switch, Door Window | Volvo Air Spring | Reyco Retainer, Brake Cam Shaft | Kassbohrer Bumper | Iveco Main Cylinder | Scania Flywheel | Daf Repair Kit, Compressor | Man Levelling Valve | Mercedes Brake Slack Adjuster | Mercedes Clamp | Universal Shock Absorber | Man Brake Dust Cover Kit | Bergische Achsen Rubber Bushing, Shock Absorber | Daf Lining Kit, Brake Drum | Volvo Hose, Radiator | Mercedes Repair Kit, Fifth Wheel | Georg Fischer Overflow Valve | Scania Gas Spring | R.V.I. Repair Kit, Spring | Volvo Bushing, Spring | Ror-Meritor Hose, Radiator | Volvo Bolt, Spring | Scania Seal Ring, Differential Gear Housing | Mercedes Handle, Door | R.V.I. Cylinder, Injection Pump | Neoplan Gas Spring | R.V.I. Diaphragm, Brake Chamber | Man Door | Daf Repair Kit, Axle Rod | Neoplan Bellow, Air Filter | Volvo U Bolt, Spring | Mercedes Rubber Bushing, Cab | R.V.I. Hose, Cab Tilt | Volvo Filler Cap, Fuel Tank | Daf Socket, Cable Harness | Volvo Exhaust Manifold | Iveco Mudguard | Volvo Fuel Filter | Man Repair Kit, Compressor | Man Repair Kit, Wheel Hub | SMB Drag Link | R.V.I. Belt Tensioner, Fan | Mercedes Rubber Bushing, Spring | Hutchens Repair Kit, Brake Caliper | R.V.I. Silencer, Exhaust | R.V.I.